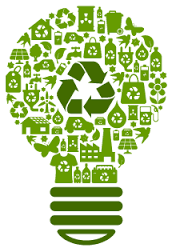 Recycling your projector lamps is good for you and the environment! Here’s why you should recycle your projector lamps. Your projector lamp contains mercury and needs to be recycled properly. Recycle Your Lamp makes it easy for you. Your projector lamp is a marvel of engineering, designed to work in conjunction with the sophisticated electronics in your projector. In order to produce the intense light needed your projector lamp contains an ARC tube, a piece of blown, high temperature resistant glass measuring about 3 inches in length. Inside is ultra-high pressurized mercury vapor that gets ignited by an electrical current produced by the ballast. This gives the brilliant light needed for the onscreen projection. While it’s great for our projector lamps, mercury is a potent neurotoxin that needs to be recycled. It large doses mercury can effect brain, liver and kidneys, and cause developmental disorders in children. 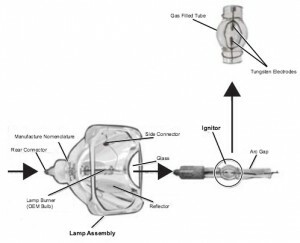 When projector lamps are properly recycled, the mercury poses no threat. However, when thrown into regular garbage and sent to landfills, mercury is dangerous. It leaches from the landfills into the groundwater eventually making its way into our drinking water. As it decomposes inorganic mercury in the landfill is converted into a more toxic form, called organic or methylated mercury and this can be released into the air. Recycling your projector lamp protects the health of you and your community while protecting our air and water. recycle your projector lamps and do your bit for mother nature! Easy to recycle your projector lamps. Contact the Environmental Protection Agency for more information. Thank you for recycling!